Selected roofing contractor Alpharetta firms are licensed. It means the basis of their services is following the national building standards. A roofing contractor license is provided only by the state. It certifies an individual that he is oriented with legal procedures and national building codes. Some states in America have no licensing requirement. Others are following strict rules and even examine the roofing professionals. The primary reason for licensure simply means that a person is proved to have worked on roofs in the past years. The other one is proof that the individual paid a nominal fee. The benefit of having a roofing license has something to say about the company’s field of expertise. Some states will fine the homeowner for hiring unlicensed contractors. Picking first the material that suits the local climate. Strip off the old roof and inspect the deck for repairs. Then install ice and water shield to stop moisture build-up to add years of the roof. Next is put in a quality underlayment over the entire roofing surface. Put metal flashings and diverters near chimneys and seal it to avoid the leak. 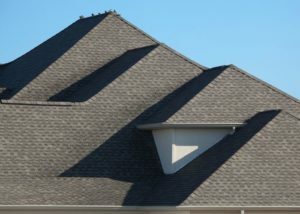 Include ridge vents to ensure proper ventilation. 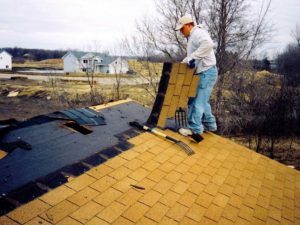 It is an advantage that a homeowner knows the process of roofing services. Basic knowledge will do to avoid roofers that take advantage. Ask the Alpharetta roofing company for a free estimate and compare the price and services with other firms. Being knowledgeable in any services we need is an investment that no one could take away from us. Listen carefully when the company agents talk. You will be aware of every roof enhancement they are going to do and how much will it cost by hearing them out. Do not settle for one quotation if you are not sure of the company. Check references from former clients for the transparency of the roofing contractors. Keep in mind to hire insured and licensed ones. Their documentation and qualification ensure you that you are in good hands.